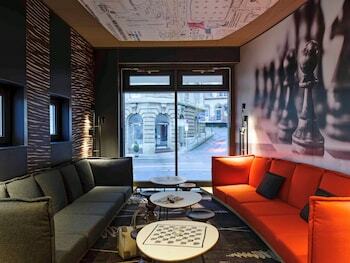 With a stay at ibis Stuttgart Centrum, you'll be centrally located in Stuttgart, within a 10-minute drive of New Castle and Old Castle. Featured amenities include a business center, dry cleaning/laundry services, and a 24-hour front desk. Self parking (subject to charges) is available onsite. With a stay at Hotel Restaurant Linde in Otterstadt, you'll be within a 15-minute drive of Sea Life Speyer and Maximilianstrasse. The front desk is staffed during limited hours.